What is modern and contemporary art? Harvard's filing for the proposed art center at 224 Western Ave tell us it "will house galleries primarily for the exhibition of modern and contemporary art." But what is "modern and contemporary art"? It can be controversial and obscene photographs by Robert Mapplethorpe or paint drips by Jackson Pollack. As this imporant project moves forward it will be important to understand the type of art that Harvard plans to display in Allston and what art people in Allston would like to see here. I went to the Harvard "Collections Online" website but there is not a single piece of 20th century art listed! These are some pieces of modern art I saw on a trip to the Saint Louis Art Museum. Boston fire department officials say a 2:45 a-m fire at three-story residence on Rugg Road in Allston sent three people to the hospital and displaced 20 residents. Two residents of the building were hospitalized, one with smoke inhalation and one with minor burns. Department spokesman Steve MacDonald says one firefighter injured a knee battling the blaze that caused an estimated 200-thousand dollars in damage. While the number of rapes reported to police citywide has dropped since 2003, sexual assaults reported in the Allston-Brighton area have more than doubled this year compared with 2005. Police attribute the spike primarily to an increase in the number of date rapes of female students. Through Dec. 22, there were 33 reported rapes in the community, police statistics show. The 33 reported rapes in Allston-Brighton is a four-year high. There were 20 reported in 2003, followed by 22 in 2004 and 13 in 2005, police statistics show. In sharp contrast to the Harvard Instiutional Master Plan Amendment, Suffolk University published a "Responses to Comments" that clearly addresses every single comment submitted regarding the dormitory Suffolk proposed for 20 Somerset Street. Bowing to the city's opposition to its plans, Suffolk University is giving up on the idea of putting a new dormitory tower on a Beacon Hill site. BRA director Mark Maloney told Suffolk Tuesday that the city was reversing its position and would oppose Suffolk's plans to house students at the site of a former Metropolitan District Commission building on Somerset Street. Outcry from the Beacon Hill community influenced the city's decision. Maloney suggested that the city and the neighbors may not be in as much of a hurry as Suffolk. "Interactive dialogue can be hard, and it's time-consuming, but it pays off," Maloney said. "We have to make sure we do this with the community, and they need a breather." According to Harvard University Art Museum director Thomas Lentz , "we have a plan that makes sense for us (the art museums), and makes sense for the university." The proposed building is 60 feet high. The neighborhood plan expects buildings in this area to be no more than 35 feet high. To accommodate the 200 employees, students, and visitors, parking for 150 cars is needed. Only 10 parking spaces will be on site. Harvard doesn't have a permanent location for the other 140 spaces. The building is more of an office and storage building than an art museum. The 130,000 sq ft building has 20,000 sq ft of storage space and 20,000 sq ft of office and conservation space. Less than 10% of the building will be gallery space, where probably fewer than 100 pieces of art will be on display. It is not clear that this will be the "significant new cultural facility" and "neighborhood and regional attraction" envisioned in the North Allston Strategic Framework. The Allston community and Task Force have been excluded from the planning of this project. Harvard and their architect attended the August 14 Task Force meeting to talk about the plans for the museum at the Citizen's Bank building (meeting minutes are posted here). Three months later we learned from this Boston Globe story that Harvard changed their mind and the museum would be next to the Dunkin Donuts. At the December 11 Task Force meeting, Harvard and their architect were back, to show us their "preferred option" for the building's design and tell us that this is what is best for Harvard. The Globe coverage of this issue make it a great opportunity to write a letter to the editor to tell the Allston side of the story. A/B - Allston/Brighton or Alcohol/Beer? Get ready for more drinking in the neighborhood. In today's Globe, Daniel Pokaski , chairman of the Boston Licensing Board, says the North End and Back Bay are the only areas of the city off-limits for the 55 new liquor licenses granted to Boston by recent legislation passed at the State House. In September, the Harvard Gazette wrote this article celebrating the announcement of this partnership. Last week, Acting School Superintendent Michael Contompasis complained that the campuses were moving too slowly to suit the school system. A PLAN BY five major research universities (Boston College, Boston University, Harvard, Tufts, and Northeastern) to adopt 10 public schools in Boston is creaking along, despite school department hopes that the partnerships would be underway in the new year. If college officials are going to make a significant contribution to the city's schools, they must first adopt an urban sense of urgency. On Jan. 4, the leaders of 10 struggling schools are scheduled to meet with university experts in the areas of public health, after-school programming, curriculum support, family engagement, and pedagogy. The plan, according to Deputy Superintendent Chris Coxson, is for the universities to step up in their individual fields of expertise and provide help across the board to the following schools: English High School; the Lewenberg and Curley middle schools; and the Agassiz, Winthrop, Chittick, Marshall, Russell, Elihu Greenwood, and Trotter elementary schools. This program at Harvard's art museums in Cambridge is an example of what could come to Allston as Harvard begins creating art facilities here is Allston. The Museum of Fine Arts offers an array of art classes and workshops for children, teens, and adults and runs a Family Place drop-in program that runs 5 days a week. Ideas for programs like these could create a valuable cultural resource for Allston residents and help Harvard make the resources of its museum more accessible to the public. The Harvard Ceramics Program, located at 224 Western Ave, has a series of classes open to the public starting in Febrauary. Classes meet once a week for 14 weeks for beginners and experts. There are also mini-courses that meet for 4 or more sessions. The registration form is available here. US Census data for Block 1002, Block Group 1, Census Tract 8.01, Suffolk County has information about who lived at Charlesview in 2000 and what a relocated and expanded Charlesview at the KMart site could be like. Household size: 63 units with 1 person, 53 with 2 people, 36 with 3, 33 with 4, 17 with 5, 9 with 6 people, and one with 7 or more people. The total is 557 people in 212 units (average of 2.6 people per unit). If the new development has 400 units with a similar density would have 1050 residents, almost 500 more than currently live at Charlesview. Age: Of the 557 people, 413 (74%) are 18 years or older, 144 (26%) are younger than 18. Using the same ratio for 1050 residents, 779 would be 18 or older, 271 would be younger than 18. On December 15, 2006 Harvard filed a Project Notification Form (PNF) with the BRA for the Harvard University Art Museums (HUAM) Art Center in Allston. The BRA (Gerald.Autler.bra@cityofboston.gov) will accept comments on the PNF until February 16, 2007. 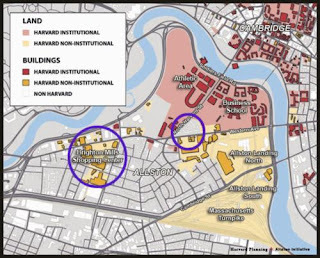 On December 15, 2006 Harvard filed an Institutional Master Plan (IMP) Amendment with the Boston Redevelopment Authority (BRA) for its Allston Campus. The amendment includes two projects: Harvard’s Allston Science Complex and Harvard University Art Museums (HUAM) Art Center. The BRA (Gerald.Autler.bra@cityofboston.gov) will accept comments on the IMP Amendment until February 16, 2007. BOSTON Redevelopment Authority chief Mark Maloney is calling it quits just when the commercial real estate market is starting to percolate. Mayor Menino, a chronic procrastinator when it comes to Cabinet appointments, risks missing a long-awaited development cycle if he fails to move quickly in naming a replacement... It is also the right time for a BRA director with a stronger knowledge and commitment to city planning. Boston would benefit especially from a redevelopment chief who can match wits with land-hungry research universities. The temperate Maloney was a good match for the times. The next director will need a tougher approach to the city -- and its mayor. When elephants are about to die, it's said, they find their way to a special graveyard. When cars give it up in Boston, they seem to find their way to side streets in Allston and Brighton. Andrew Locke says three abandoned cars had not been moved from Westford Street in Allston for at least two months. One car has been parked across from Locke's condo for more than seven months. Marcie Laden says a blue Chevrolet pickup truck had been parked outside her home on Tip Top Street in Brighton for two months. Each year, each person in Boston can donate $500 to candidates for City Council. There was no City Council election this year, but the entire Council (district and at-large) is up for re-election next year. So with January 1 approaching, I have been surprised to receive two emails this week asking for donations for a election season several months away. One was from Sam Yoon, who hopes to have $60,000 in the bank by December 30. Wow! In 2003, Michael Flaherty raised $387,652 in donations and spent $403,672. The 2005 campaign saw even more cash than 2003, and it looks like there will be, predictably, even more money raised and spent next year. ALLSTON An SUV crashed into the Charles River off of Soldiers Field Road in Allston Thursday afternoon after rear ending a car. The SUV ended up in the water and the driver was pulled from the sinking car by two Good Samaritans, according to police. These documents have both been submitted to the BRA. The comment period for both documents ends on February 16 (this includes and extension due to the holidays and concurrent filing of both documents). The documents should be on the BRA website soon. While Harvard touts its expansion into the nether regions of Allston as a veritable triumph for modern education, many residents, students, and community members see the University’s trek as something more sinister: a Harvardian version of manifest destiny. To them, Harvard’s expansion asserts that if the price is right and the buyer well-endowed, then the homes, histories, and communities of poor people can be bought up, bulldozed, and replaced with shiny new classrooms, biotech labs, and commercial start-ups. As students, we are in a unique position. We have a certain power within the University. We can either use it to our advantage, at the expense of the poor people around us, or we can use it to challenge the injustices carried out in our name and with our money. The forced relocation of hundreds of poor families is one of the most egregious of these injustices. And this is a student issue, not just a community issue. We will not see the end of these problems if the Charlesview families are relocated out of sight of the new campus. Such treatment of the tenants is sure to generate more anger and resentment, and that will last for years to come. Is this the kind of relationship we want to establish with our neighbors in Allston? They will see Harvard’s expansion into their neighborhood as an invasion. And if we continue to act this way, they may have a point. If Harvard does not respect the surrounding community, we cannot expect them to respect us. If Harvard creates insecurity for our neighbors, we should not expect security for our own community. In the past, Harvard students have stepped up to the plate where Harvard’s “leaders” would not. They have stood up for the rights of the least privileged, the ones excluded from the benefits of Harvard. They have stood up with workers. They have stood up with victims of discrimination. They have stood up for oppressed people in foreign lands. It’s about time we stand up for the people in our own backyard. Because, really, it’s their backyard, not ours. A stark contrast to the hundreds of thousands of square feet of development coming soon to Allston and Brighton, here is a story about activists in Burbank, California trying to stop construction of a 60,000 sq ft Whole Foods supermarket. As Los Angeles well knows, in the world of urban planning, missteps can linger for decades, permanently altering the character of a place. Harvard has completed another purchase in the neighborhood! 176 Lincoln Street, the long empty "tech center" at the corner of Lincoln St and Everett St is now Harvard property. The property sold for $16 million and includes the building and the 5.2 acres of land on which it sits. With all the talk about the future of Allston, it is interesting to take a look back at the neighborhood in 1954. Here is a map showing "Barry's Corner" heading west to where Harvard wants to build its Science Complex. 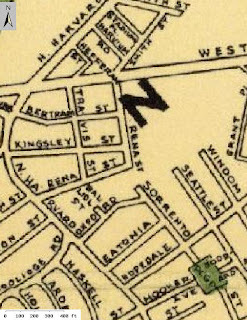 Back then there were more small residential blocks, both where Charlesview is now and also to the south, where Rena, Kingsley, and Bertram extended a block past Travis and where Oxford and Eatonia connected to Sorrento. "So, yes, Boston is growing in many good ways. But growth by itself is not the goal. It was another interesting meeting on Monday. It started with a presentation from Harvard about the new art building they want to build. For starters, I don't think it should be called a "museum". Harvard described the building as 1/3 public, 1/3 office, and 1/3 storage. But when they got to numbers, they said the 125,000 sq ft building would have ~9,000 sq ft of exhibition space. When I think of a musuem I think about art on display for the public to see in the galleries. If only 7% of this building is going to have art on display then it is really a storage and administrative building with some art on display in front. Several months ago Harvard announced that this project would be at the Citizen's Bank building on Western Ave down near Toureen Kennels and Mahoney's Garden Center. 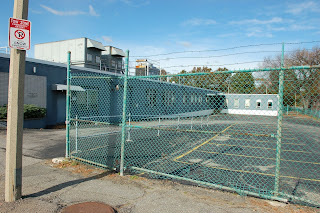 Since then they have decided that building won't work and they want to do the project at the "Verizon building" next to Dunkin Donuts and across from Smith Field. As it always seems to be with any developement around here, the first and most obvious problem is a parking problem. Harvard said this building will have 200 employees. Currently in Allston, 60% of Harvard employees drive to work. In the Science Complex proposal Harvard stated a goal of reducing that to 50%. So that is 100-120 cars that need to be parked somewhere. Plus there will be visitors, students, etc. so probably this facility needs to have parking for 150 cars. I don't remember how many parking spaces they said they planned, but it was a lot less than 150. Part of their explination was that they could use parking spaces in the Western Ave Business School lot or maybe the Science Complex garage. But the Science Complex construction won't be finished until a year after the art building opens, and why would anyone drive 1/2 mile when they could park much closer on a neighborhood side street? Harvard Business School has a building called Teele Hall next door to this site. It has a surface parking lot for approximately 80 cars behind the building. 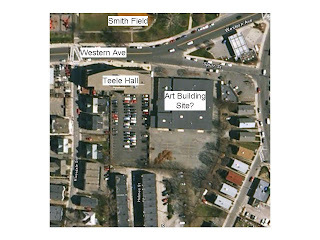 So imagine needed almost twice that much space for the art building's parking. I asked Harvard's planners and architects if they had thought of building a parking garage for 200-250 cars using the space currently occupied by the Teele Hall lot and/or space below the art building. These spaces could be shared by Teele Hall and the art building. They said they hadn't thought at all about the space behind Teele. "The Framework addresses height and massing of new buildings to ensure in general the preservation of the traditional character of residential neighborhoods while allowing the kind of significant new development that will bring substantial benefits to North Allston. Thus, west of North Harvard Street the Framework envisions heights of up to 35' on the southern side of Western Avenue"
But Harvard's design for this building has it being 60 feet high. When asked why the building should be so much taller than the NASPF's limit, Harvard's response was something like "We need the space." That's fine, but Harvard also has plenty of other property in North Allston, and maybe some of those sites would be a more appropriate place for a 125,000 sq ft, 60 foot high building that needs parking for 150 cars. I asked if Harvard could do this in two buildings - one for the storage and one for the museum. No, they said, that would be much too complicated. But they do operate out of multiple sites in Cambridge. I don't know how many hundreds of thousands of pieces of art Harvard has in their complete collection, but I don't understand the practicality of having to have them all under a single roof, especially considering that most of them are very rarely seen or accessed. Create a main street-like environment with approximately 200,000 square feet of community serving retail and services, with housing, academic, and other uses located on upper floors. Doesn't seem like much of a thriving retail space to me. There was also discussion about the roof garden that Harvard proposed for above the second floor of the museum. This would be back off the street and could create a privacy problem for the neighbors who live next to this site. The building will close at 5, but if Harvard wants to rent the building for parties and other functions like they do in Cambridge it could be a lot of unwanted noise and light spilling over into the backyards and homes on Franklin, Holmes, and Mead Streets. Another possible conflict with the NASPF is that the Framework suggests removing Spurr St (the tiny street that cuts behind the gas station from the Dunkin Donuts to in front of Smith Field) and replacing it with a pedestrian walkway. For this to happen, the vehicular access to this site would have to be done through the Teele Hall building. Harvard estimated that construction on this project would take 1 1/2 years and they hope to start in the Fall of 2007. The other main topic of the meeting was interim property improvements and uses for Harvard's vacant buildings along Western Ave and elsewhere in the neighborhood. This was an update since the presentation they gave in September. Summary - no new leases have been signed and property improvements have been things like painting and fixing gutters. The plan in September was to have fence removal completed by the end of the Fall, but that has not happened and is waiting for legal approval. They told us that there will be some landscaping done in the Spring, but we shouldn't expect too much because it will only be interim landscaping. Harard couldn't estimate how much money they spent on property improvements in 2006 so hopefully there will be more information on this at the next meeting. I think the quote of the night was Harvard's comment that they started purchasing land in Allston because they looked at Allston and saw "land not being put to the best use." Wow. I have exactly the same thought when I look at the Harvard-owned land on Western Ave, Holton St, Everett St, etc. Seed money to grow scientists - The Boston Globe: "Boston Latin Academy and Brighton High School were among six schools in Massachusetts to get grants funding a pilot program to increase the number of students pursuing careers in science. Both schools received $7,000 from the Massachusetts Biotechnology Education Foundation." We've heard some developers promote car stacking as a way to put more cars in the same amount of space. This story tells how Automotion Parking Systems, Park Plus, and others are putting more cars in smaller garages. A commuter rail stop for Dorchester. When will the train stop in Allston? Coming down the track, a Four Corners upgrade - The Boston Globe: "North Allston-Brighton, which once had three rail stations and the A Line trolley, also sees commuter trains fly by without stopping, and Harvard University and the city of Boston support a new commuter rail station in that neighborhood, although the city has not endorsed a site. Vineet Gupta , Boston's transportation planning director, said stopping the commuter rail in Allston-Brighton would be cost-effective. 'Everybody is interested in seeing something happen there, and while it's in its infancy we're confident a design will emerge,' Gupta said. Harvard has proposed a West Station on its Allston Landing South rail yard, near its Allston campus (where Harvard plans a massive expansion). The university has no 'hard plans' and is awaiting a state Executive Office of Transportation analysis, said Kevin Casey , director of government relations. 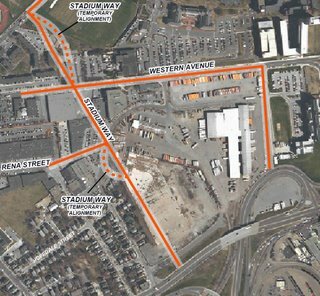 The station could be tied to the proposed Urban Ring, a circumferential transit route that would link seven communities with the T's rapid transit lines and the booming Longwood medical area. But mass transit advocate Charlie Vasiliades, a lifelong Brighton resident, said residents prefer a more central Brighton station, located where the old Brighton station stood near Market Street, near the current New Balance headquarters. That site offers better bus connections and room for parking, he said. 'Allston Landing would be convenient for Harvard, not for residents,' he said. State Senator Steven A. Tolman , a Brighton resident and former railroad worker, said an Allston-Brighton station 'makes all the economic sense in the world.' Tolman bristled at the notion that commuters from Worcester or Framingham would complain about a longer"
A building boom on campus - The Boston Globe: "A new residential tower could rise 30 stories over the Back Bay. A sprawling complex would buzz with hundreds of scientists in Allston, and a sleek glass-and-limestone business school would fill out the banks of the Charles. These projects -- at Berklee College of Music, Harvard University, and Massachusetts Institute of Technology -- are among about two dozen new buildings on the drawing board at universities and colleges in the Boston area." Nothing in the Boston area compares with Harvard's Allston Science Complex. Click here for the full graphic. 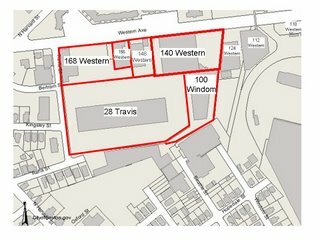 TownOnline.com - Allston/Brighton TAB: "Residents of Allston-Brighton sparred with representatives of St. Elizabeth’s Hospital and with each other Tuesday night over the hospital’s plans to build a new emergency department on the green space at the corner of Cambridge and Washington Streets. The Allston-Brighton Community Planning Initiative played host to several representatives from St. Elizabeth’s, who gave a 20-minute presentation about the new ED to an audience largely opposed to its proposed location. “Everyone in the community is in support of the new ED,” said Teresa Hynes, a member of the Brighton-Allston Improvement Association. “The problem is where it is going to be located.” "
Last night, staff from The Community Builders ran a meeting about the future of the Charlesview housing project. 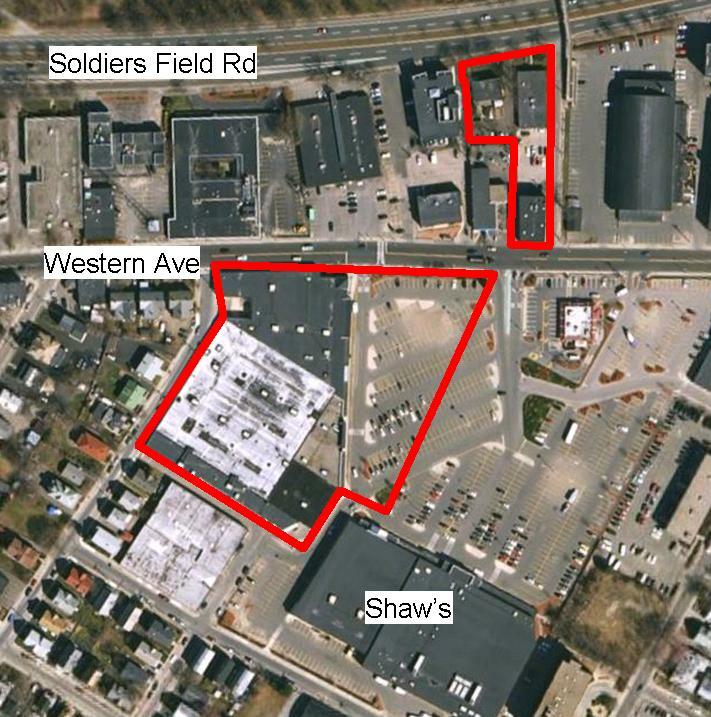 For brief background, Charlesview is 213 units of affordable housing on approximately 5 acres of land at the intersection of North Harvard St and Western Ave in Allston. The meeting was well attended, with more than 100 people in the audience. 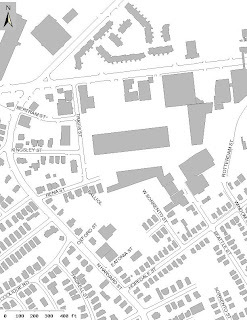 Harvard University very much wants the land where Charlesview is currently located, and Harvard has offered 6.5 acres to build a new housing development in two parts - a large set of buildings where the KMart and OfficeMax used to be in the Brighton Mills shopping center and other buildings on land north of Western Ave next to the Skating Club of Boston. The new design increases the number of housing units at Charlesview from 213 to 400. There was no information provided about how many people would occupy these new units, but it would probably be 300-500 new people living in the neighborhood. Many people at the meeting voiced concern that this many additional people would further overcrowd our already tightly-packed neighborhood. The woman from The Community Builders said that the reason for the additional units is that the neighborhood has a need for more affordable housing, but someone in the audience suggested that, because this is federally subsidized housing, there would be no preference given to Allston or Brighton residents so this benefit is not something that would be helping people currently living here. The development would be divided between the two sites, with 284 units at the KMart site and 116 on the northern site between the Skating Club and the car wash. Doing some quick math on this northern portion of the project, 100 units of housing probably requires a 150,000 square foot building. The three building lots that Harvard would combine for this building total 31,500 square feet. This means to put 100 units on the site would require at least a 5 story building. The architect, from CBT Architects, seemed to say several times that the below-ground garage would have one parking space per resident. After direct questioning from someone in the audience he said it would be one parking space per residence. The zoning requirements are 1.75 spaces per residence, which would mean 700 spaces for 400 units. So their current plans have them at least a couple hundred parking spaces short. I don't really understand why they would come to the community with a plan so obviously lacking in this key area. There was a fair amount of dispute between residents of Charlesview, some who want to move and others who don't. Some say the building is sinking and falling apart and others say it is fine. A member of the audience asked if there was a publicly available structural assessment of the current building and he was told that this exists but it is not public. Whatever happens with this project it will be a clear precedent for future construction in the neighborhood. 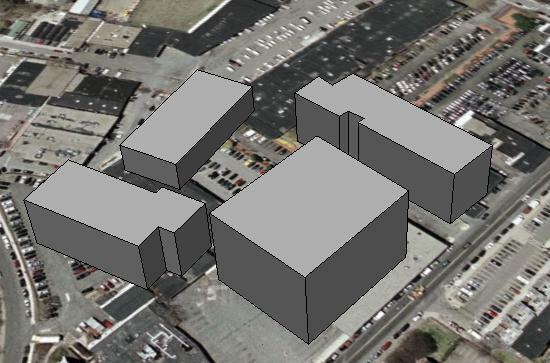 The design for the buildings on the KMart site includes several 4 story buildings. These would be much taller and denser than the existing neighborhood. Maybe this should be the future. Maybe not. I think Tim McHale had the right idea when he said that we can do better - Charlesview can do better, the award-winning developer can do better, the famous architects can do better, and the residents of Allston and Brighton can do better. A second meeting is being held on Thursday at 6 at St. Anthony's school. 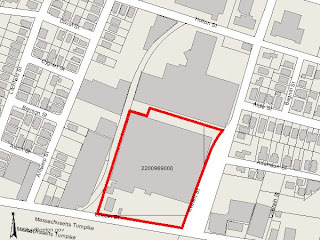 TownOnline.com - Arts & Lifestyle: Boston College Institutional Master Plan - An Opportunity for Blue Development: "There is a justifiable concern among the residents of Allston-Brighton about Boston College plans to develop a 43-acre parcel of land it purchased in 2004 from the Archdiocese of Boston, due to the potential loss of open space in the neighborhood. However, if designed right, the development could help restore the environment within the campus and in the surrounding neighborhoods. As a prerequisite to institutional expansion the Boston Redevelopment Authority requires BC to prepare an Institutional Master Plan for its new campus. This process will require neighborhood participation at various stages of the planning process..."
Last night (Dec 4) the State's Dept of Capital Asset Management (DCAM) held a meeting at the Honan Library about their plans to sell the Speedway site and maintenance yards on Western Ave. 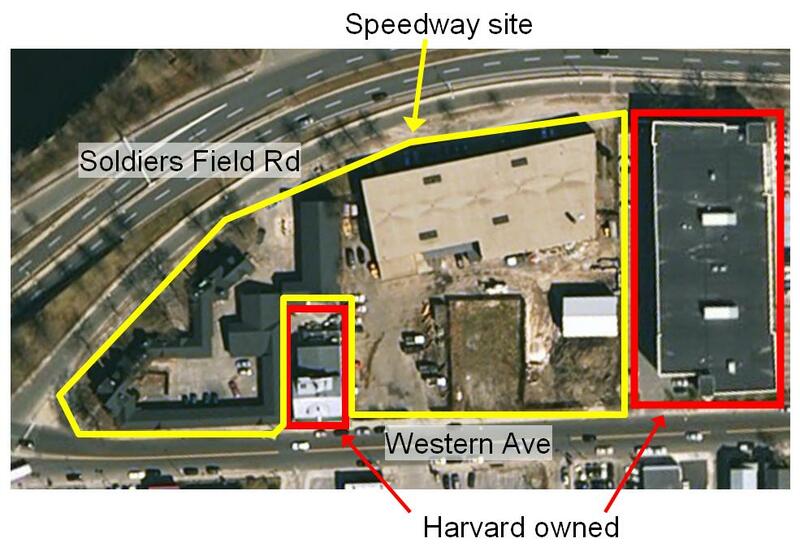 These are the properties on either side of the Toureen Kennel building at the west end of Western Ave near Watertown. You probably know the rotting brown barn. Approximately 40 people were at the meeting. The site is 3.5 acres. DCAM mentioned the goals from the North Allston Strategic Framework for Planning - create a gateway int the neighborhood, support mixed uses (housing, retail, commercial), enhance the streetscape, and create access to river (both visually and for pedestrians). History - The Speedway was the first project by the new Metropolitan Park Commission in 1899. It had a 1 mile race track for horses and was the first step in changing river from industrial tidal estuary into a recreational resource. The building complex dates from 1899 to 1924 and is eligible for listing on the National Register of Historic Places. 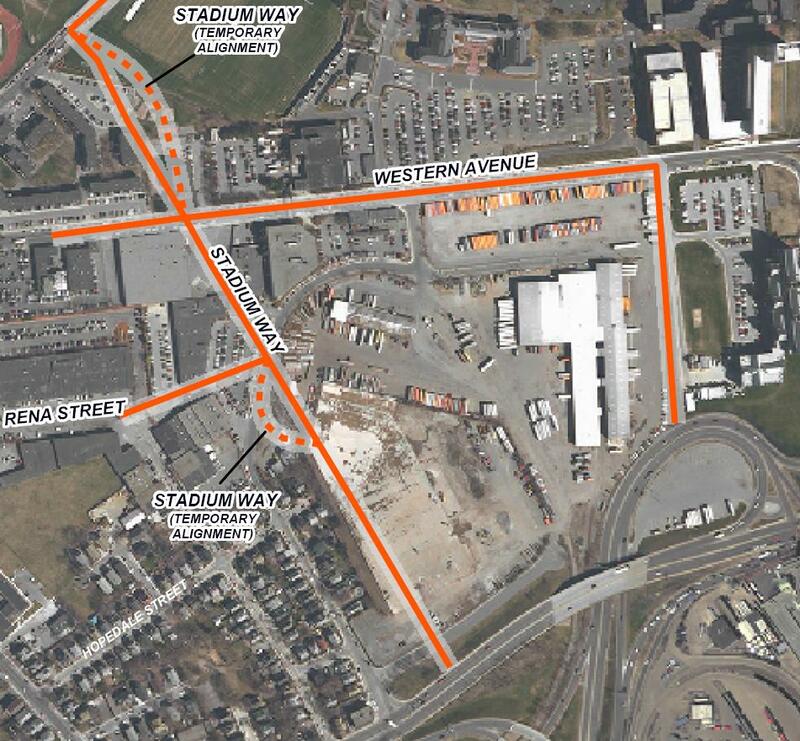 The development opportunity is east of Toureen where the State Police building is. That building will probably be demolished. Preservation will be required to the west of Toureen where the barns and home are located. DCAM suggested moving the DCR maintenance yard to Birmingham Pkwy next to the bocce courts. Representative Moran spoke strongly against that and I agree with him - that land should be parkland, not a maintenance yard. The State Police may stay on the site if the new building has office space that would suite them. If not, it might be good for the community to have them stay in the area with an increased community presence. State criteria is not just financial. The entire site will be sold to a single developer who will be required to rehabilitate the historic buildings and they will be free to develop the rest of the site as they (and the BRA) see fit. Possibilities mentioned were housing and retail/commercial. The State Legislature needs to pass legislation allowing this to move forward. That will be filed in January. If it passes by fall, DCAM would issue a Request for Proposals by the end of 2007. A developer could be chosen in 2008. Given that Harvard owns the Toureen building right in the middle of the site and the Citizen's Bank building that abuts the site to the east, it is very strange that Harvard didn't have someone attend the meeting last night and DCAM said there have been no discussions with Harvard. A comparable project that they mentioned is the Chestnut Hill Waterworks development. Apparently many people thought Boston College would buy that site from the State but it ended up going to a private developer for a residential project. 50+ years ago the author was a student at the Alexander Hamilton School in Brighton. Recently she returned to the school as part of a "Principal for a Day" program and in today's Globe she writes about her experiences then and now. Berklee seeks to build dorm tower and theater - The Boston Globe: "The proposed 25- to 30-story complex would replace two buildings, the Berklee Performance Center and a two-story academic building at the corner of Boylston Street and Massachusetts Avenue. At 300,000 square feet, the building would cost roughly $120 million and might include two or three towers. BRA director Mark Maloney said it is too early to say how the city agency would react to Berklee's proposals. "We think their plans are bold, and we encourage bold plans, but we are not sure the community will support such bold plans," Maloney said. cbs4boston.com - BU Athletes Allegedly Jumped, Injured In Allston: "Boston Police are investigating a brutal attack on a group of Boston University student-athletes early Sunday morning at 9 Wadsworth Street in Allston over the weekend. " TownOnline.com - Local News: Residents weigh in on how Harvard can give back: "More than 100 residents, community activists and elected representatives attended the Harvard-Allston Task Force meeting Wednesday night at the Honan Library to offer their suggestions about how the university can give back to the community as it slowly expands into Allston." Several years ago, Harvard had plans to build a musuem at the intersection of Western Ave and Memorial Drive. Neighborhood opposition stopped that project, and instead Harvard is building housing on that site. This website gives Harvard's overview of the project. In summary, Harvard is building a set of buildings containing 500 beds of rental housing for Harvard affiliates on 4.5 acres of land. The maximum building height is 55 feet. As part of this project, Harvard is giving to the community 34,000 sq ft of land for a public park, $780,000 for park construction, 33 low and moderate-income home ownership units, and $50,000 to Riverside community organizations. "The thing that really troubles me is if you look at what Cambridge once was, as recently as the 1950s, there was a balance between the residential and the academic," says Defense Fund vice president Forbes, who obtained his doctorate in history from the university, studying seventeenth-century religious dissent. "But since the 1960s the balance has shifted. The big sword of Damocles hanging over the future is: Where is it going to stop? What further imbalance is going to be created because of Harvard's future needs?" One Brigham Circle is a 200,000 sq ft mixed-use development at the intersection of Huntington Ave and Tremont St (click for map). It has office space and community retail. It also includes a 5.5 acre park, Puddingstone Park, which provides substantial open space to the neighboring community, as well as a Village Square public plaza that offers community gathering space for festivals, events, and civic functions. 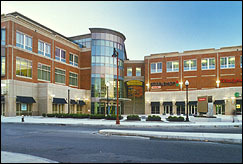 The project was constructed based upon a vision developed through a unique community planning process and has become the commercial heart of the neighborhood. This is an interesting article about the process through which residents of Mission Hill worked with Harvard and the nearby hospitals to create this project. It doesn't sound like it was easy, but in the end it seems to have resulted in a better relationship between Harvard and the neighborhood and created something great for the area. As we think about wanting to create jobs and good retail in Allston, and as we wonder about the future of Brighton Mills, this could be a good project to keep in mind. Here is the website of the East Boston Foundation, a not-for-profit trust that Rep. Moran mentioned as last night's Harvard Task Force meeting. The Trust is funded by Massport. 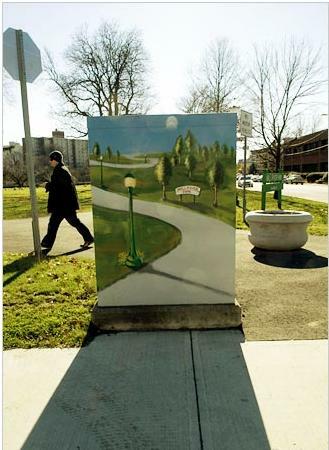 In 2004 it awarded $618,650 in grants to East Boston organizations and in 2003 it awarded $575,159. Its Board of Trustees are appointed by a variety of elected officials and comunity organizations. The Harvard Crimson :: Opinion :: Bury the Parkway: "The benefits of a buried parkway would be enjoyed by all local residents, not just those in the Harvard community. As such, Harvard should not (and, given that the land is owned publicly, almost certainly cannot) undertake this initiative on its own. But given the benefits that local residents would reap from the parkway’s depression—for the first time in decades, Allston residents would enjoy unfettered access to Boston’s greatest geological treasure—city and Commonwealth officials should work with Harvard to make this initiative a reality. A project of this scope will be neither cheap nor easy. Ultimately, however, the success of the Allston campus will depend on it. With strong leadership and effective teamwork, Harvard can help bury a parkway, integrate two academic communities, and give Allston residents their river back. " The Harvard Crimson :: News :: Residents Protest Allston Plans: "Residents of the Charlesview Apartments in Allston gathered outside their homes yesterday evening to protest last week’s vote by the Charlesview Board of Directors to enter into a land-swap agreement with Harvard. The group of about 30 residents, organized by the Charlesview Tenants’ Association and accompanied by around 10 Harvard students, announced their opposition to the swap, which would give Harvard the five-acre plot on which Charlesview currently stands. In return, Harvard would build a new affordable housing complex on a 6.5-acre site further southwest in Allston. " The Harvard Crimson :: Opinion :: Harvardview Apartments: "...This deal brings Harvard one step closer to a massive, and massively beneficial, expansion across the river. We are confident that, with the appropriate consultation, the Allston initiative can be good not only for Harvard but for all parties involved." Not in Allston or Brighton, but the story sounds sadly similar, from a politically connected developer, to a large project much larger than allowed, to a feeling that the public process is a meaningless show in a project may be a 'done deal'. "But the most frequent and loudest protests were aimed at the prospective 85-foot height of the project -- 37 feet taller than the existing building and 30 more than current zoning allows. Some residents said it would block their views and wall them off from the harbor. Building to such a height would need to be approved by the Boston Redevelopment Authority . One speaker, addressing BRA project manager Kristin Donovan , said the variance and the project appeared to be a done deal as far as the BRA was concerned. 'Why aren't you honoring our height limits? Why aren't you helping us to maintain the character of our neighborhood?' asked Mary McGee , who said she has lived in the neighborhood for 32 years. But former city councilor Paul Scapicchio , a North End native who is advising the developers as part of his work for the consulting firm, ML Strategies , said the project does have supporters in the neighborhood, even if none chose to voice his or her support during the meeting." What began four years ago as a tiny, grass-roots experiment to beautify the unsightly boxes that control traffic signals around town has become an unexpectedly impressive public art collection, with head-turning installations cropping up constantly to transform drab streetscapes into outdoor galleries. 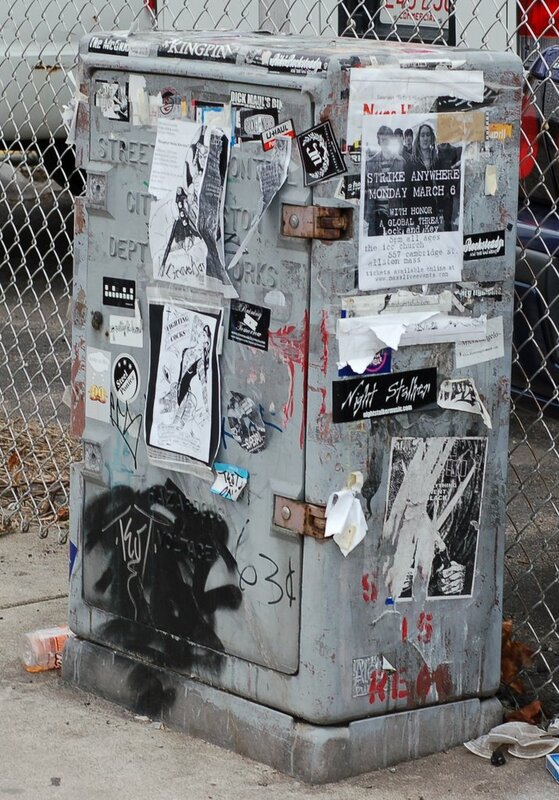 About 50 of the city’s 190 boxes, once covered with graffiti, are now suitable for framing." What a great idea! Something that could certainly make our neighborhood a nicer place. Happy Thanksgiving. One thing I think that North Allston has to be thankful for is the amazing opportunity we have, with Harvard, to discover new and wonderful opportunities for our community and the people who live here. It is also special that we have so many people who care about this neighborhood and are committed to its health and vitality. Seeing 120+ people at the November 13 Harvard Task Force meeting was a great showing that demonstrated the engagement and interest of so many people. The next Harvard Task Force meeting is next Wednesday, November 29. Like other Task Force meetings, it is at 6:30 at the Honan Library. This is another very important meeting because the topic is the community benefits that Harvard will provide to North Allston as part of the Science Complex and Art Museum development that Harvard plans to start next year. There will also be a much larger round of community benefits negotiated next year when Harvard submits their master plan for the next 10 years of their development. Like the scope of Harvard's development, the scope of that benefits agreement will be unprecedented. Starting the conversation now gives us the opportunity to develop a strong plan that spans the benefits that will be negotiated this year and next year. Some of these benefits are likely to be physical improvements to our infrastructure (such as our roads) or public realm and open space (such as parks). Others could be related to Harvard's resources as a place of learning and teaching in such areas as medicine and public health. Or the Harvard Extension School could be made more accessible to members of our community. (Currently there are some opportunities for free Extension School credit for Allston and Brighton residents. I wonder how many people have taken advantage of this opportunity in the past. My sense is that there is not much publicity about it.) There has also been talk about the employment opportunities that will be created at Harvard's Science Complex and their subsequent developments. In other Boston neighborhoods, Harvard partners with the community through organizations like The Boston Health Care and Research Training Institute to provide education, skills training, career coaching and other services to help people obtain well-paid positions in the health care industry. So, there are many different ways that benefits from Harvard can be good for Harvard and for North Allston and its residents. I hope you will join us on the 29th and send your thoughts to AllstonBrighton2006@googlegroups.com so we can understand the benefits that would be most important to you and your goals for our community. After three years of negotiations, the board of directors of Charlesview Inc., the company that owns the apartment complex at the heart of Harvard’s planned Allston campus, voted yesterday to pursue a land swap with the University. The deal would give Harvard five acres of land next to the Business School campus in exchange for a 6.5 acre Harvard-owned site further along Western Avenue. Despite tenant resistance, Halbfinger remains optimistic that Charlesview will complete its move. Pepper spray incident routs Brighton school - The Boston Globe: "A 15-year-old student was arrested yesterday after he allegedly detonated a canister of pepper spray at Thomas A. Edison Middle School in Brighton, sending 41 students and a teacher to area hospitals"
"The executive director of Harvard's Joint Center for Housing Studies, Eric Belsky, opened a national summit on rental housing policy Tuesday morning (Nov. 14) with a sobering assessment of America's rental properties as increasingly unaffordable, rundown, and concentrated in blighted neighborhoods. After laying out the complex and persistent challenges besetting the industry, Belsky called on the 'Revisiting Rental Housing' conference participants to push beyond old ways of thinking about those problems and to strive for bold, innovative solutions during the two-day meeting. " Here are a few excerpts from this story in the Phoenix. A blog, "Harvard Extended", also weighed in on this subject a few months ago. Here is a link to the article in The Wall Street Journal on the same subject. "...But rather than take pride in the bi-monthly’s stellar 108-year-old reputation, university administrators effectively declared war on Harvard magazine earlier this year when they brought out an in-house competitor. The new rag, The Yard — which Harvard sends four times a year to alumni, big donors, and parents of students — strikes a decidedly more self-flattering tone than its independent counterpart. ...Yet in recent years, Harvard, like almost all universities, has been eager to limit how much the public in general, and alumni in particular, learn about what’s really happening on campus. Boston College magazine might take the prize for bias in 2006. In a shameless bit of puffery, editor Ben Birnbaum, also a university vice-president, assigned himself a summer 2006 cover-story profile of his boss, university president Rev. William P. Leahy, S.J. The piece, under the pretext of describing a typical week in the life of a college president, mainly reiterated statistics that show a tremendous level of growth under Leahy’s leadership — numbers alumni are already bombarded with during fundraising campaigns. Birnbaum did address the most common criticism of Leahy: that he’s rarely on campus long enough to meet with undergrads. But missing altogether was any line of questioning over matters of much graver significance: increased student and faculty concern over gay rights on campus, for example, or attempts by the president’s office to rein in an independent student newspaper — topics that have captured national media attention and surely would have piqued the interest of most alumni. Six Harvard students named Rhodes Scholars - The Boston Globe: "Joshua Billings would like to develop a collaboration between a university and public schools. He has worked for two summers with a program for Cambridge middle school students. 'Literature is what brought me to learning,' said Billings. 'I want to help others to come to that love.'" Harvard undergrads have a lot to offer with their programs that reach out to the community. As Harvard and Allston become more connected I hope that they will recognize the opportunities to contribute to the community. Consider: The Healey/Romney scheme would end tolls in Western Massachusetts, where 50 percent to 70 percent of the vehicles are from out of state, and raise them in Greater Boston, where most drivers are local. " TownOnline.com - Local News: Task force to neighbors: Come to our meetings: "The Honan Library was packed on Monday night as neighbors gathered to hear Harvard University's proposal to build a science complex on Western Avenue. Although the Harvard Allston Task Force has been meeting since the beginning of the year to discuss the university's expansion, many people who had never attended a meeting before came out this week." Next meeting is November 29. 6:30 at the Honan Library. Police say drug lab found in Brighton; one charged - The Boston Globe: "A Brighton man is facing two felony charges after police and federal agents found what they called a drug-making laboratory in his basement, authorities said. A Boston police detective went into the basement of the four-family house on Surrey Street and discovered what appeared to be a clandestine drug laboratory." "A master plan update published last month by Northeastern University reflects a successful accord between the college and its neighbors on the siting of two future dormitories. But elsewhere, the bar is still too low. Harvard has retained renowned architect Stefan Behnisch, whose design for a science center includes a 125-foot building east of Barry's Corner in Allston. The early design serves the university's top scientists. But neighbors still don't know how it fits into the rest of Harvard's plans for Allston, because Harvard isn't scheduled to submit its master plan until January. This fact wasn't lost on scores of Allston residents at a community meeting Monday, who, by a show of hands, told Harvard officials that they wanted no part of a plan that arrives in pieces. City officials promise they are watching Harvard's master plan carefully. 'If they don't get it done and done right, they won't get this building,' vows Linda Kowalcky, the mayor's liaison for higher education." Sounds boring, but I think this is quite important. Currently if you ask the Transportation Department, ISD, or the Police why they don't hire people to do more enforcement they correctly say that they don't have the money. If you reply "But the money that you get from the tickets, fines, etc. could more than pay for the staff to write the tickets" they tell you that the money from the fines goes into Boston's general fund, not back to their departments. Looking at different ways the City can manage its finances could make a big difference in how services are delivered to us taxpayers. To review hearing order, click here. Frustrated residents vented their heated criticisms of Harvard’s latest batch of Allston plans last night, firing questions at planners from the Harvard University Allston Initiative. “Ninety-nine percent of this document relates to Harvard’s institutional needs, and less than one percent to community concerns,” said Brent Whelan ’73, a member of the Allston Community Task Force. There were more than 100 people from the community at last night's meeting plus Reps Honan and Moran and Councilor McDermott. A great showing. Next meeting is Nov 29 at 6:30 at the Honan Library to discuss the community benefits that Harvard will provide in conjunction with its first phase of development. Harvard rethinks museum move - The Boston Globe: "The Harvard University Art Museums is reconsidering plans to turn a former bank building in Allston into its temporary home when it closes the Fogg and Busch-Reisinger museums for renovation in 2008. HUAM may still renovate and move into the former Citizens Bank building, at 1380 Soldiers Field Road. But a feasibility study has shown that the project, announced in February, is more complicated than originally believed. So a second building, at 224 Western Ave. in Allston, is being considered. Kathy Spiegelman, chief planner for Harvard's Allston Development Group, said Harvard hopes to pick between the two sites within a month. The original plan called for housing the majority of the 250,000 objects in the university's collection at the former bank building. At 25,000 square feet, the second site is less than a third the size of the former Citizens Bank building. To use it, Harvard would need to expand it or build an additional structure." Wow! The Harvard Task Force and 100+ people had a meeting with Harvard last night and there was no mention of this!I thought we were going to get a great museum of significant size on Western Ave (at the Citizens Bank building). 224 Western Ave (the "Verizon" building next to Dukin Donuts) that abuts several residential homes on Franklin Street and is not the place for a major art facility that Harvard has told us is coming to Allston. What will Harvard's wrecking ball hit? That Harvard uses the word "may" is troubling. Don't they know what buildings they will need to demolish? I used Boston's online property database to find these buildings. The first problem is that 118 & 118R Western Ave do not exist according to Boston's information. I found the other 6 buildings and I was amazed how much space in the neighborhood they take up. The proposed science complex will use something like 1/2 of this space. If Harvard demolishes these buildings what will happen there? Will it be another Harvard-owned empty parking lot behind a chain link fence for years to come? To try to better understand what this building will look like, I made some simple models of the buildings that you can view in Google Earth. Click here to try it out. Push the "View In Google Earth" button. These shapes are admittedly very crude. Harvard probably already has 3D computer models of these buildings. It would be great if they would publish them so the rest of us can see them using the Google Earth software. The estimated cost of fixing the state's neglected park system has jumped from $800 million to $1.1 billion, a top state official confirmed yesterday. The new calculation came one day after Governor Mitt Romney announced $7 million in cuts to the state Department of Conservation and Recreation's maintenance budget as part of a $425 million spending freeze. In addition to the parks' maintenance budget, Romney sliced a wide range of environmental items, such as $154,590 for environmental law enforcement, $288,900 dedicated to helping communities provide cleaner water to residents, and $181,886 for hazardous waste cleanup. This is an interesting story about the annual Business for Social Responsibility conference. It looks at the attitude, very much in vogue at many companies, that the business world should help solve problems that are not directly related to the businesses' core mission (such as climate change or the plight of factory workers in developing nations). This subject makes a good companion to the Globe editorials earlier this week about businesses becoming less socially involved which creates an opening for universities to fill this void. Turns out Harvard's Corporate Social Responsibility Initiative is looking at these very issues as part of the Mossavar-Rahmani Center for Business and Government. Harvard's science complex will be more than 100 times larger than the 5,100-square-foot structure that caused problems for the neighbor in this story! A letter from Allston resident Paul Alford in response to The Globe's recent editorial. "...We in the community want Harvard to be successful in its proposed development; it is, after all, our collective future. We are also grateful for the time, energy, and commitment that our local community task force contributes to this complicated process. However, the basic issue remains the same: transparency. Whether institutional expansion means 500 more rowdy kids on neighborhood streets at 2 a.m. or a 530,000-square-foot stem-cell research facility 300 yards from a 100-year-old neighborhood, these developers must tell the City of Boston and, most notably, the abutters the truth about their goals. The developers must explain how they intend to become part of the neighborhoods, rather than the neighborhoods becoming part of their campuses..."
MassVote has compiled information about voter turnout across Boston. The data is available in PDF and Excel formats. In 2005, 22% of Allston's registered voters actually voted, and in Brighton it was 29%. That is low! West Roxbury - 47%, Mission Hill - 32%, East Boston - 37%, Charlestown - 33%, South Boston - 42%. Only the Fenway was in the 20's with us. Boston's top election officials lack experience - The Boston Globe: "The top officials running Boston's Election Department, the commissioner and her supervisor, came to their jobs with little or no experience running elections and have had only minimal training since...Secretary of State William F. Galvin, who is making plans to oversee the Boston Election Department, said yesterday that it's important that people with experience be in charge. "There has to be someone there, whatever their title is, who has the authority and has extensive election experience," he said. Boston's Election Department has also been grappling with staff and budget cuts in recent years, which employees say has left the department with little institutional memory." Secretary of State William F. Galvin declared yesterday that he will seize control of the Boston Election Department because the city has repeatedly demonstrated an inability to conduct fair and smooth elections. The end of an era in Allston - News - The Phoenix: "This weekend, McBride’s Furniture (167 Brighton Ave) will have a liquidation sale, after which it may or may not stay open for another week or so. And then, with the simultaneous closing of What Once Was, the store next door that occupies McBride’s sublet space, Allston will be bereft of antique stores." Antique stores used to be something special about the retail scene in Allston. Two stores on Harvard Ave closed over the past couple years and now the last one will be gone. Sort of a shame. From the City of Boston Elections Department, here are results from Boston voters choices for State Senate & State Rep. This does not include Brookline voters in the Moran/Evans race and voters from Cambridge, Sagus, Chelsea, and elswhere in the district represented by Barrios. A total of 14,048 people voted in Allston and Brighton based on the total vote counts in the State Rep races. TownOnline.com - Local News: Moran sweeps Brighton, Brookline: " In the 14 districts Moran represents in Allston-Brighton, he received roughly 82% of the vote, according to the city of Boston’s unofficial election results. In Precinct 1 in Brookline, Moran got around 66% of the vote, according to Brookline’s unofficial results. " This part talks about contributions colleges make to public education and other social needs of society. The Center for Community Partnerships at the University of Pennsylvania is given as a particularly ambitious example. Also talks about the disparity in PILOT payments - BU contributed $4.4 million in Fiscal 2007, Harvard $1.8 million, Boston College $261,000. The Globe editorial mentions this report "A New Era of Higher Education - Community Partnerships". Here are links to the project's website and to the full report. It contains many interesting examples of how universities are making this a better area and ideas about what can be done in the future. "Allston residents and business owners have been waiting for a decade to see what Harvard University plans to do with its extensive new holdings in the neighborhood. Now they wonder if they can wait any longer. They fear the neighborhood is becoming a 'ghost town' -- a place that will be in limbo for years to come, dying a slow death -- as Harvard continues its buying spree and leaves buildings vacant. The university says it now owns 1.2 million square feet of commercial space in Allston, about half of it empty, and its buying hasn't let up. One activist calls it 'property warehousing.' "
PARTICIPANTS IN a sweeping seminar on town-gown relations sponsored by the Boston Foundation in 2003 predicted that colleges and universities would take up the mantle of leadership lost by many local corporations after a spate of mergers. Rancor over past institutional expansion would fade. Academics would work for social progress in the neighborhoods, while activists embraced the colleges as engines of economic development. At hand was nothing less than "twin paradigm shifts," as former Northeastern University president Richard Freeland put it. 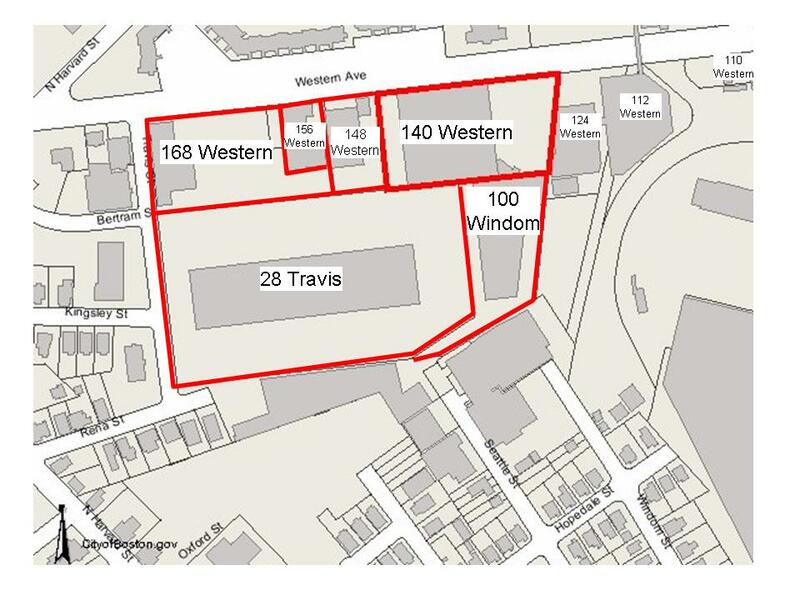 ...Across town in Allston and Brighton, neighbors along Western Avenue say they preferred living hard by industrial buildings than the vacant ones created when Harvard University bought the properties and cleared out many tenants. ...Harvard should take the lead. Much bitterness remains over the university's decision in the 1990s to purchase 52 acres in Allston covertly through proxies. 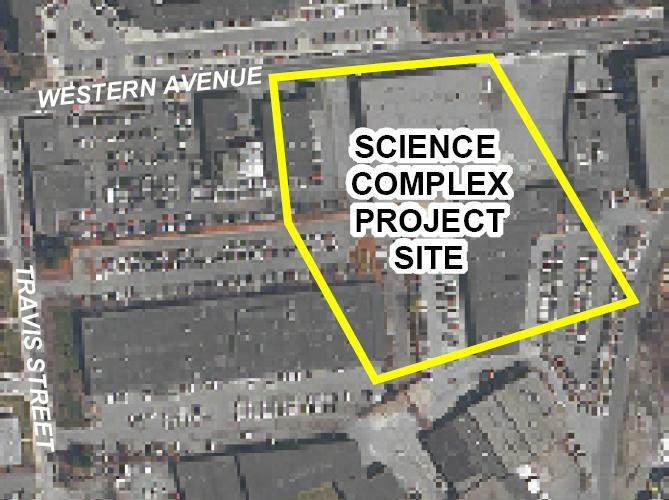 Harvard subsequently engaged neighborhood groups, especially along portions of Western Avenue closest to its Cambridge campus, where it intends to build a 500,000-square-foot complex to house a stem-cell research institute. This engagement resulted in an unprecedented land-use plan showing Harvard's immediate and future space needs. But the plans are hazier the farther west one travels into the campus of the future. 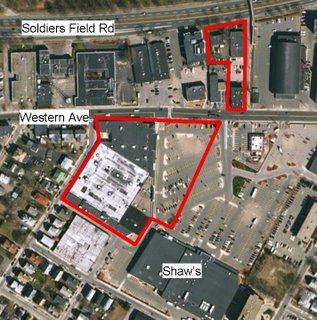 Bob VanMeter, head of the nonprofit Allston Brighton Community Development Corporation, says that 307,000 square feet of industrial space now owned by Harvard sits vacant west of North Harvard Street. University officials acknowledge the problem and say they are now prepared to give businesses leases ranging in length from five to 10 years. Harvard could also make a powerful statement by integrating its plans to build housing for graduate students with affordable homes for neighbors similar to Northeastern's successful Davenport Commons in Roxbury. Harvard's interim president has three goals, one of which is "to take care of that whole Allston-campus business" as 02138 Magazine puts it. Neighbors watch BC, St. Elizabeth's expansion plans - The Boston Globe: "With Caritas St. Elizabeth's Medical Center planning to expand its emergency room, and Boston College eyeing more dorms and a student center to the west and south, neighbors organized recently to try to figure out how to get the most benefit from both developments. The Allston Brighton Community Planning Initiative , a collaboration of neighborhood groups, drew about 70 people to a meeting Oct. 25 to discuss the plans"
Company's offer to remove signs in Dorchester draws skepticism - The Boston Globe: "Communications giant Clear Channel has offered to take down some of the 35 billboards it controls in one section of Dorchester in exchange for being allowed to erect a single, large sign facing the Southeast Expressway." TownOnline.com - Local News: State rep candidates square off: State Rep. Mike Moran, a Brighton Democrat, and his Republican challenger, Russell Evans of Brookline debated on Monday. Here is a summary of the event. An Allston-based charity, Deaf Inc., profiled in today's Globe. Debate set tonight - The Boston Globe: "The four candidates for governor will face off in New England Conservatory's Jordan Hall tonight at 7 for the final televised debate of the campaign." See an original and genuine interview with our state senator. Hear him talk about his favorite place to travel, his favorite type of music, what happiness means to him, what community means to him, the one thing about the world he would change, and one thing about himself he would change. Globe, Newspaper Guild agree on contract proposal - The Boston Globe: "Harvard University is negotiating to buy the former Casey & Hayes warehouse building that has sat empty for years on Lincoln Street in Brighton. A purchase, for a price around $17 million, is expected soon." "YOUR OCT. 22 editorial 'High and dry in Boston?' offers a one-sided view on the issue of increasing the number of liquor licenses in Boston. You are correct that having more licenses would make it easier for more business owners to make more money selling beer, wine, and liquor. But what would be the impact on the residents who would have these businesses as their new neighbors? Here in Allston and Brighton our quality of life is continually threatened by an ever-growing number of bars and restaurants whose patrons stroll drunk and loud through our neighborhoods at midnight, two in the morning, or later. If Boston wants more liquor licenses, it should first tell its citizens why we should be confident that our quality of life won't suffer while a small number of people profit." 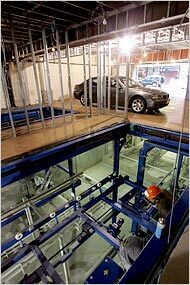 Where will Harvard construction workers park their cars? - Providing off-street parking at market rates for construction workers. This measure is intended to avoid parking impacts to the surrounding neighborhoods while encouraging construction workers to commute by transit, carpool, or other non-automobile means. Harvard owns acres of empty parking lots in Allston but they seem to want to make a few bucks by charging their contractors to park here! I don't know what "market rate" parking in North Allston is (10 or 20 bucks a day?) but it seems this will do exactly the opposite of what Harvard says they want to do. Won't the workers park for free on our neighborhood streets instead of paying to park in a Harvard lot? Harvard's proposal for a new street conntecting Cambridge St and Western Ave has been a recurring topic of interest at Task Force meetings. Here are the new roads proposed in the Science Complex PNF. 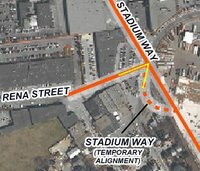 There is the extension of Rena St, Stadium Way going from Cambridge St to Western Ave to N Harvard St, and the unnamed road from the Mass Pike off-ramp to Western Ave. The Mass Pike-Western Ave connector seems like it will be a great thing. This was in the April 24 Transportation presentation but I don't think we have heard about it since then (Harvard's October 11 transporation presentation still isn't on the BRA website). The straightened Stadium Way that stays away from the Cambridge/Windom intersection is much better than what we were shown on Oct 11. The PNF doesn't give any information about this other than this one image, so we will have to wait for the IMP Amendment filing for more information. Regarding the two "temporary alignments", what does "temporary" mean? The northern temporary route must stay so long as Charlesview is in its current location, but what is the timetable for the one south of Rena St? 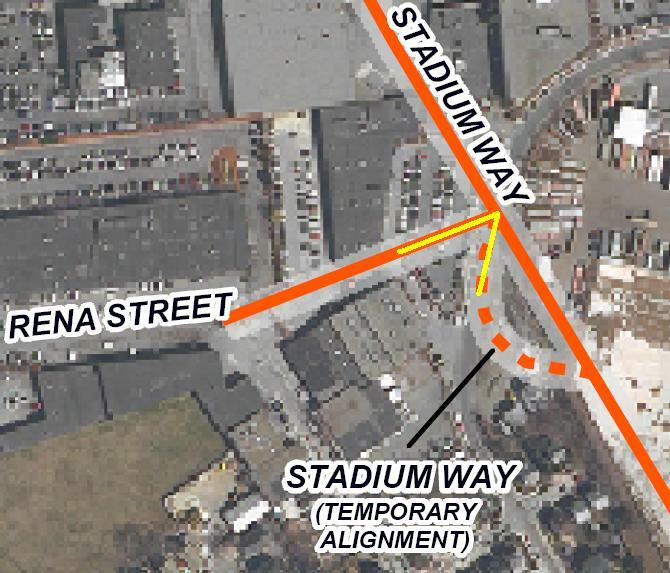 Will large trucks be able to make the sharp turn from this curve in Stadium way onto Rena St? Stadium Way is only 30 yards from the houses on Windom Street. What will protect these houses from the noise? Research shows that trees will not be an effective sound barrier in a situation like this so a barrier wall, earth berm, or an other solution will be needed.